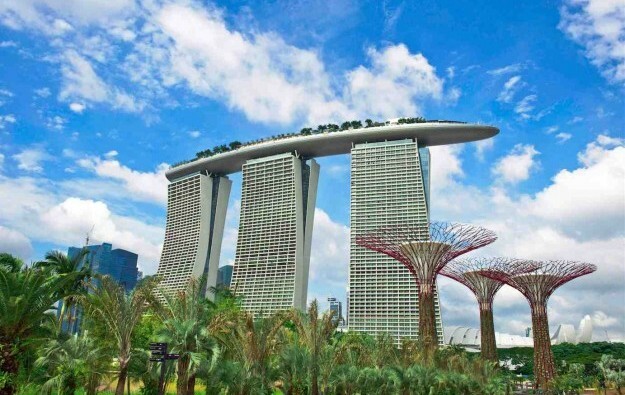 Singapore’s Marina Bay Sands casino resort (pictured) has begun allowing full-time members of its 9,700-strong staff two days paid leave from work to study language, communication, service excellence and information technology. The operator of Marina Bay Sands said in a press release that the “learning leave” provisions are a first for the hospitality industry. Marina Bay Sands is owned and operated by a subsidiary – Marina Bay Sands Pte Ltd – of U.S.-based casino operator Las Vegas Sands Corp, the parent company of Sands China Ltd, which owns and operates gaming and entertainment facilities in Macau. Announcing the new working conditions, Marina Bay Sands senior vice-president of human resources, Chan Yit Foon, said building a robust pipeline of talent was a priority for the organisation, and training and skills development helped the long-term progression of staff within the company. “We will continue to look at innovative ways of developing our staff that will allow them to adapt to the evolving needs of our dynamic and fast-paced industry,” Ms Chan said in a prepared statement. The operator of Marina Bay Sands has spent nearly SGD12.2 million (US$8.94 million) on training schemes in the last five years – the equivalent of more than 3.69 million hours of instruction given in over 150 courses, its statement noted. The casino resort will offer more than 500 jobs at the Marina Bay Sands Food and Beverage Career Fair, to be held at the Sands Expo and Convention Centre on July 29 and 30. The operator of the property said it is prepared to pay new staff a SGD1,500 sign-on bonus if they are Singaporean or are permanent residents, and start work before the end of September. Among the jobs on offer are positions in Marquee – a nightclub which is due to open next year – including positions for bartenders, hosts and floor crew. “Those who apply to join Marquee will be inducted into our F&B family to receive on-the-job training and build their skill sets across our food and beverage operations,” said Marina Bay Sands vice-president of food and beverage, Christine Kaelbel-Sheares, as quoted in the release.